1. Be Special: Use a large postcard with a lot of color on it to grab the receiver's attention. Unlike email and most other forms of advertising, postcards get noticed, they cannot be deleted or ignored. 2. Frequency increases the effectiveness. Schedule delivery to the same homes or businesses at least 2 to 3 times over a 2 to 3 month period. 3. Don't use Rubber bands to bundle your postcards. It damages the edges. Use soft elastic bands or plastic wraps to bundle your postcards. 4. Reevaluate your direct mail campaign. 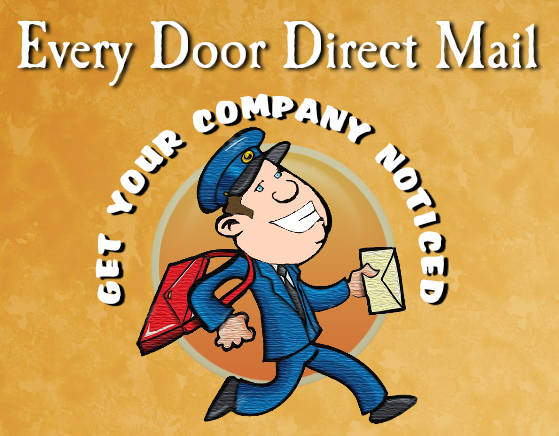 If you are like many of our long time direct mail customers, you might find that after factoring in the cost of purchasing a mail list, printing the names and addresses on each mail piece and paying the additional cost of postage to deliver each mail piece, you would be better off delivering your postcards via EDDM and targeting specific neighborhoods via mail routes. Many neighborhoods have similar people with similar incomes and lifestyles. Often, you can distribute twice or three times as many mail pieces using EDDM at the same cost, as if you were to purchase a mail list, address each piece and mail them using conventional direct mail. 5. Put your advertising on autopilot. Like most other endeavors, EDDM advertising takes time and focus. Let us handle the entire EDDM process for you including taking your EDDM mailing to the local post office so you can focus on running your business and handling all the new customers your EDDM advertising is going to bring. For Postcard pricing and to order your high quality postcards online click here. For more information about EDDM® rules, regulations and requirements from the US Post Office, email or call us at (212) 989-6633 or come in and visit us today in Midtown Manhattan on 40th Street to discuss your EDDM project and see and feel our high quality printing.